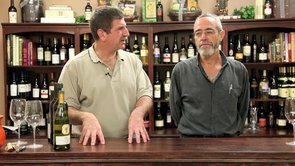 In this interview, we discus great wines and the interesting history of Matetic Vineyards with Julio Basillas as we taste through a few of his offerings. 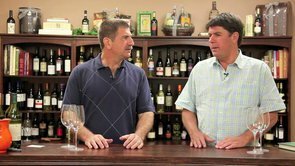 Paul: Hey, welcome to the continuing Winemaker Series, Wine of the Month Club, and very excited because I had a visitor today, Julio Basillas. 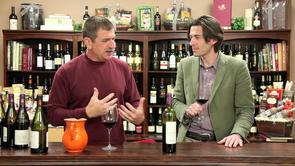 Julio: …from Matetic Vineyards, yes. Paul: …Vineyards, yes. You did something very interesting, you pointed to this bottle here, which we featured the wine as the '07. Julio: Yeah, there is some beautiful vintage over there. Paul: What did you say, you got 90 points on there…or something like that? Paul: Did you make that? Julio: Yeah, we made that with an old winemaker, he used to work with us also. 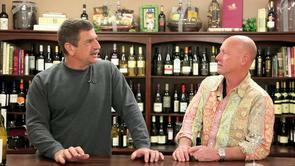 Paul: …how long…how long have you been with this winery? Julio: Yeah, yeah, a long time. I came here to get some education in the States. Paul: Where did you go? Paul: So did you study oenology somewhere? Julio: Yeah, I develop my career with them. You know, I went to States for get more experience, for improve our technique, and then they offered me a job there, and so, I have been there since 2002 working with them. Paul: What you doing here this trip. Are you staying in the East Coast, are you going to the West Coast, you say you'd be…? Paul: Oh, yeah, that's right, six months difference, right. So when is the harvest exactly? Julio: Well, we'll start at the end of February, making some sparkling. We're producing just a small program of sparkling wines, and then we finished with just a few weeks ago. Paul: I don't think I've had your sparkling. Is it a traditional…blend? Julio: It's a traditional, it's a 50% Chardonnay, 50% Pinot Noir wine and we're doing that in barrels, and we're taking the bubbles…things in bubbles. It's the classical way, but it's just a start, you know, it's a new break for us and we're learning and doing something classical. Julio: …he knows…he learn a lot of research from them, so we're…doing very, very good stuff. Paul: Well, based on the…hey, we've featured your Chardonnay, and we're going to taste your Pinot Noir today…both of them classic…in versions of what they are. Paul: You have a Guest House there, right? Paul: …for a guy like me? Julio: …a beautiful hotel. Yes, a beautiful (joint) and nice restaurant. Julio: Yeah, you have to visit us. Julio: Because it's so big, you know, we have a…ten thousand ranch. So, there are, you know, our population is split in two, in the North we have Casa Blanca looking to the ocean on one side, and on the other side of the property, in the South, is still looking to the ocean also, that is San Antonio. That is why we can play and we can select, you know, its specific places for vineyards in San Antonio and Casa Blanc. 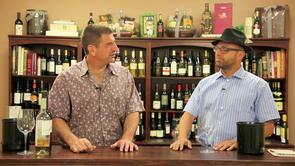 Julio: Specifically, this wine, this Sauvignon Blanc is produced from San Antonio grapes. 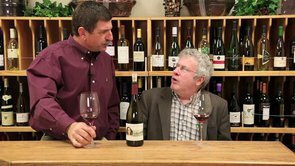 Paul: Right…which I…gorgeous, I had…folks, I had to pick four, five wines for these videos, just to make sure we don't run too long. So, I had to pick the…what I think is the most interesting examples, although all the wines were great. This one has a wonderful verbaciousness to it, a grassy character to it. Paul: Yeah, you know what, that's good, the nose has definitely got some jalapeno traces in it, and of course, you don't get the spiciness of the jalapeno, but, you know, this to me…explains Chilean Sauvignon Blanc, because all the white grapes that come from there, and what we've experience here as Americans as Chilean wines, this one here, it really express what I think Chile is about. Julio: Yeah, you know, we love that thing, you know, that character and the blend of this…different things, you know, the spiciness, you know, the tropical fruit and herbal notes. Not just pure acidic, you know, and…the acidic is beautiful. Paul: We're going to move to the…now, this is the Corralillo brand. We've talked about that, we also have the EQ brand, that's the one I featured. Julio: Yeah, yeah, that is our premium…premium brand, yeah. Paul: We're going to move to the Pinot Noir…the premium brand. Okay, so, when we're in the store or at the market, at the restaurant we see the Matetic brand. There is the Corralillo, which is a very nice wine, then you've got your EQ premium brand. I taste both Pinot Noirs, both were great, one had a little more smoke and depth…depth, but a bit more smoke. This one's more feminine, but much more Pinot Noir flavors. Julio: Yeah, this is a classic Pinot Noir from our vineyards, you know, we put a lot of passion. This is a classical style Pinot Noir we made with our technique and open to fermenter, you know, cold soak, we use only the classical, you don't wait for the richness. You know the technique, punch downs, there's no pump overs, just this very fancy, very low extraction. So, then we move the wines really, really fresh to barrels, French barrels and we leave it there for 12 or 14 months, depending on the year. 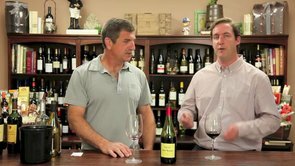 Paul: Pinot Noir is not…indigenous, obviously, to Chile, but it's kind of new that they've come out…from our stand point when we taste all the time, it's only recently in the last couple of years that Pinot Noir from anywhere in the South America, including Argentina, has had Pinot to it. 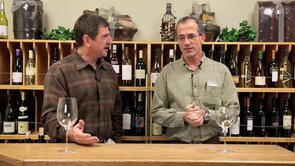 Julio: Because in the old days everybody wants to have a tremendous wine and, you know, Pinot is so fragile, so you have to be very aware how much extraction you can create with the Pinot wine. You…need to learn about your place, where the vines are developing, it's hard to…it takes time to develop a good Pinot. Paul: What's…fun for us, guys on this end that are tasting all the time, we've…I've seen the evolution, you know, we've taste it, we've taste through it. You guys have done a great job with this wine. Paul: Yes, when I poured it in the sink, I'm looking at it and going, "Wow, this I amazing." The stainless steel is shining through barely. Julio: Yeah, you know, my hands are two weeks, and look like that…(laughing). Paul: …wonderful blueberries in that, but, you know, the balance is great. It's not too much acid, it's got enough fruit, it's got a lot of life…it's got a lot of life in this one. Julio: Yeah, cedar…you know, spiciness, the white pepper, juicy. Paul: Might have to swallow that, I'm not dumping that out…and now the flag ship, gorgeous package. 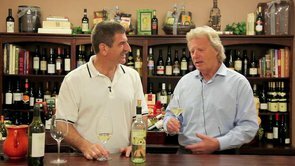 Paul: How many wines you make, do you put the Matetic name on? Just this one? Julio: …and I think we're reaching that level with this vintage. Paul: I think so, you're real close. Julio: Maybe in the future you will find Matetic Pinot. Julio: Syrah…this is made in under…by biodynamic rules, that means native fermentation, with native…or just old fashion wine making, you know. No artificial flavors, just 20 months in oak. 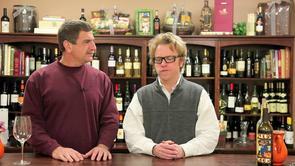 Paul: You said that the winery…it's farmed by…organically, and the process is sustainable by… biodynamic…? Paul: You don't put that on the labels, or will you be putting it on the labels? Paul: Is that an international thing or it is just for Chile? Julio: It's an international thing. Demeter comes from Germany to check all your process, all your paper, all your inputs and then they give you that standard, and there is only three vineyards in Chile with that standard. Paul: Really, wow, that's excellent. Congratulations. Julio: Yeah…it's a long process. Paul: Wonderful, wonderful…this has just got…so much character, and it seems like it's going to go on forever, just layers and layers of flavors. Julio: Yes, I love all the spiciness…it's excellent. Paul: Is this a clone, is this a vintage selection, barrel selection…? Julio: It's a vineyard selection. We grow those vines like a dry farming, vines very low yields…it's a very specific clone selection also, very classic, 1-7-4, 4-1-7 clones...very spicy. Paul: …and look forward to have you come again.